The hunts for new solar system, new planets and life on other planets are still going on. Astronomers and scientist are doing lots of struggle in this sector. Scientists and astronomers have also detected number of planets which is similar to earth as well as dissimilar with earth too. Now the search has taken another step, astronomers have detected the oldest known Earth size planets in a star system which is around 11.2 billion years old from today. The discovery of this solar system also suggested that life could have existed 13.8 billion years in the history of universe. 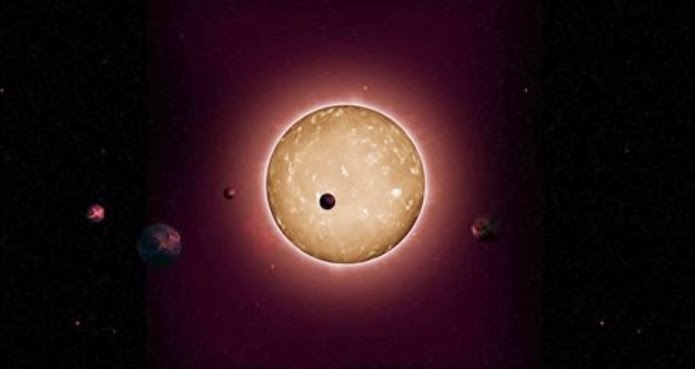 According to the research made by the Kepler Space telescope of NASA detected 5 earth sized planets at the distance of 117 light years from earth and all of those five planets are being hosted by a star which is 25 percent smaller than our sun; the name of that sun was given as Kepler-444. The astronomers has used a technique called asteroseismology, this technique use to measure tiny oscillations in brightness of star therefore astronomers have able to determine extreme age of Kepler-444. All those 5 planets which are revolving around the Kepler-444 are in the size between Mercury and Venus but all planets are in such position that our solar system’s Mercury use to be this means that all of five planets are too hot to be habitable for life as we all know by our solar system. This research proved that such planets could form very early in the history of universe which is life friendly worlds which could exist for billions of years. By the time our Earth was formed the planet in this solar system was already older than our planet today. The discovery of this system has introduced new step in research of life in universe.